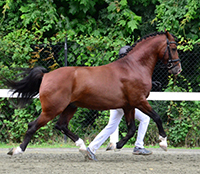 Jovee Farm's Phenix is now a licensed ISR/Oldenburg NA pony breeding stallion, available for breeding to approved mares! See the Stallion page for more information and a link to his video. 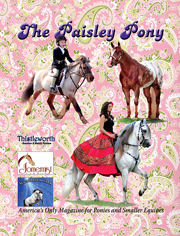 Call 336-669-1565 for more information about Phenix and other fine sport ponies and horses. for the Jovee Farm newsletter. At Jovee Farm, we produce wonderful large ponies and horses by carefully crossing top-quality mares with proven stallions from the best German lines. Mares and stallions are selected for performance, movement, conformation and temperament, as evidenced by inspection grading, show and performance records. Our goal is to produce the next generation of superb small athletes, each with a great temperament, a demonstrated willingness to work, and a people-pleasing personality, while excelling in dressage, eventing and hunter competition. Our foals are raised in an optimal small-herd environment, with careful attention to health, nutrition, daily handling and manners education. 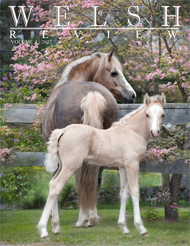 Jovee Farm's highly successful program has produced Phenix, our ISR/Oldenburg NA approved pony stallion. We also provide foaling and birth-to-weaning management, with gentling and handling to produce young horses with excellent manners and a solid foundation. Contact Angie for an appointment to meet your next equine partner! Jovee Farm High Performance Pony Awards, offering Champion and Reserve Champion awards for the highest scoring adult and junior riders on ponies, at each of these dressage shows: VADA Dressage at the Meadow, VADA Dressage At Lexington, Raleigh Summer Dressage I, NCDCTA Capital Dressage Classic, NCDCTA Labor of Love, NCDCTA Autumn Leaves, NCDCTA Harvest Moon and Dressage At the Park I. 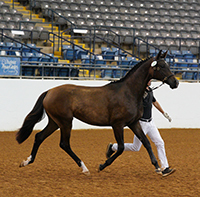 Based on the scores from the seven shows listed above, we will award a year-end Champion and Reserve Champion for Junior and Adult pony riders. In addition, we will sponsor the Lead Line class at NCDCTA Labor of Love, and a Pony Breed Championship class at VADA Dressage At Lexington and also at VADA Dressage at the Meadow. 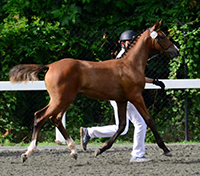 The Pony Breed Championship will be open to all ponies competing in any in-hand breed class. Welsh Pony & Cob Society of America.